A new poll suggests Germany’s anti-immigrant Alternative for Germany party – or AfD – is winning more support than ever before. It predicts the party would net 16 percent of the vote if a federal election was held now. The AfD made huge gains in recent regional elections, getting seats in 10 of 16 state assemblies. It’s benefited from a backlash over Chancellor Angela Merkel’s refugee policy, and the arrival of a million migrants last year. Euronews met AfD party leader, Frauke Petry, in Berlin. 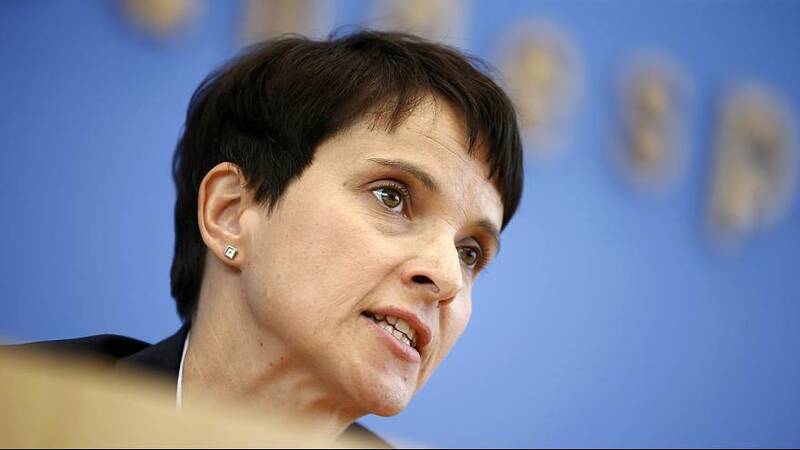 Frauke Petry, AfD leader: “If we still believe in solutions that are result from an open discussion, then we should believe in the fact that discussions can help solve problems and not covering up problems. “And we Germans are quite good in covering problems, seeking the consensus, seeking the agreement before we even have elaborated on the problem. Frauke Petry, AfD leader: “We think what we had in the 60’s, 70’s even in the first of the eighties, made Europe a lot stronger than what we are now. And the Euro project was the project of the attempted European Constitution showed that the vast majority of European countries is not willing to give up their sovereignty, which I think is perfectly alright. “This is a sovereign situation and I don’t think that we are going to help Europe to stay strong in a worldwide competition if we try to equalise everything, like it was done in socialism. Frauke Petry, AfD leader: “The Islam, the foundations of this religion are not compatible with democracies. And that is nothing only the AfD says, now that we started the discussion you find lots of politicians admitting exactly that, but they have been ignoring the problem for years. “So I think our duty in Germany is to make the problem become apparent in order to find a solution. We agree very much with modern Muslims who like to live in Germany, who feel as Germans, and want to stay here.